1) If there are areas where the drywall has become structurally damaged to the point that is falling apart, these areas will need to be cut out, replaced with new drywall, taped, floated, textured and painted. 2) If the drywall is still structurally sound, but stained, it can be primed and painted. Water stains may take several coats of primer until the stain has become light enough so that it can be and painted without the stain bleeding through the paint. 3) If you see signs of mold growth it can be removed by wiping the area down with a bleach water solution or with mold removal products. Mold can also grow on the backside of the drywall if the moisture is not allowed to escape. If this is the case the moist drywall area should be removed and any mold growth behind the drywall addressed. 4) Drywall seams are commonly damaged from water leaks as water tends to travel down the seam joining the sheets of drywall together. If this has happened the damaged seam tape will need cut out, retaped, floated, textured and painted. Many times you can have a mix of different repairs all on one ceiling. Each repair can have it’s challenges. Repairs such as priming and painting many times are done by a home owners, however, repairs that require drywall replacement, taping, floating and matching texture are more advanced and may be best done by a local drywall repair contractor. J. Paone Construction conducts ceiling repairs on a daily bases in the Houston, Texas area. If would like a free estimate on your ceiling repair give us a call, or text us at (281)883-6308, you can even even text us picture of the repairs you need done. How Much Water Can Drywall Handle? Believe it or not drywall can actually handle a decent amount of water before becoming damaged to the point it needs to be replaced, there is a caveat however, and that is it all depends on what the water is doing. If you have a water leak in the ceiling that is dripping down onto the floor below, and there is nothing really trapping the water inside the ceiling area, your drywall can actually take a decent amount of water flowing over the surface of it before it becomes structurally damaged. It takes a much smaller amount of water to damage Sheetrock if it is allowed to sit on the surface. If you take the same ceiling and you put insulation in the void above the Sheetrock, that insulation will act as a sponge trapping the water and allowing it to sit on the Sheetrock surface soaking through the paper on the backside and into the gypsum. Once this happens your drywall becomes compromised and will need to be replaced. If you live in the Houston area where it is warm most of the year and your drywall has become wet, mold can begin to grow in that area if it is not allowed to dry out. Mold can be toxic, and thrives in places that retain moisture. If you do have drywall that is retaining moisture, you should take action to dry it out, this may require removing the drywall and insulation in moist area and placing a fan on it so it can adequately dry out. J. Paone Construction preforms Sheetrock repairs for businesses and home owners on a daily basis in the greater Houston area. If you would like a free estimate call us at (281)883-6308, or contact us by filling out the form bellow. We look forward to working with you. J. Paone Construction has been listed “Top Rated Professional” by HomeAdvisor.com. Home Advisor is the nations number one free resource in connecting home owners and businesses with service professionals. They are a leader in the their field, connecting more than 30 million people with service professionals. While there are many handymen you can choose from, not all of them offer professional work. If a handyman is doing work that does not require a license (many home repairs fall into this category) the bar can be quite low for getting into this type of work in Houston Texas. You are not even required to carry general liability insurance. While the low bar can make it easier for the individual doing the work, it makes it difficult for the customer to find a good handyman as standards can very widely from handyman to handyman. Fortunately, there are organizations that are committed raising the bar on what it meas to be a professional handyman. At J. Paone Construction we take being a handyman seriously, we are insured, and we are a member of the Association of Certified Handyman Professionals, we are committed to maintaining a high level of professionalism in what we do. If you are looking for a handyman contact us today to get a free estimate. If your kitchen sink is leaking from where the sink basin connects to the drain and you are looking for help on how to fix it, you’ve come to the right place. 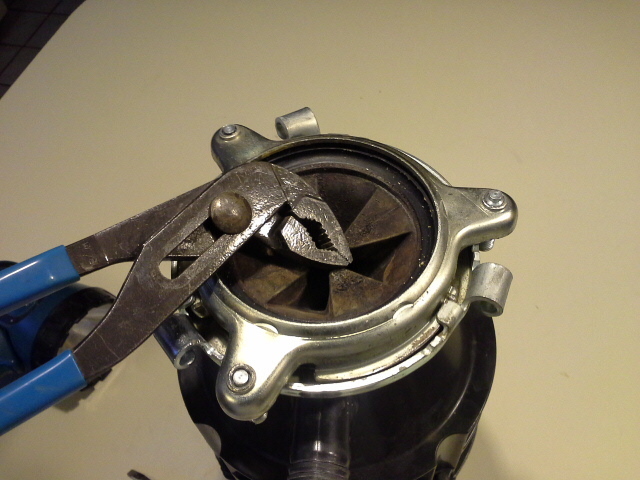 In this instructional blog post I am going to show you step-by-step how to repair the leak. It may be the case that you need to replace the drain in order to repair the leak. Depending on when you catch the leak, you may be able to get by without having to replace drain. Either way, this post can be a help to you as you install a new drain, or assess whether to reuse the drain you have. Before you get started disassembling your kitchen sink drain you may want to make sure you have the right tools and supplies for the job. You will need a flathead screwdriver, a hammer and, depending on how tight your drain pipes are, you my need a wrench. As far as supplies go, you will need plumbers putty, Vaseline and possibly a new kitchen sink drain. You can find all of these supplies and the tools at most hardware stores. If the seals on the sink drain are damaged, you will need to purchase a new drain, as the seals are sold with the drain. There are generally two seals that come with the drain. The first one is a rubber seal that goes up against the underside of the sink basin, and the second is a cardboard seal that goes over the rubber seal which protects the rubber seal from being damaged by the flange that holds the drain in place. 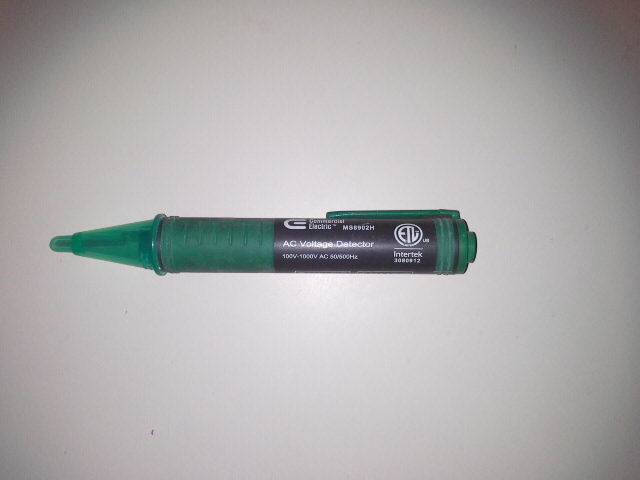 If either of these seals are damaged, either by removing the drain, or, in the case of the cardboard seal, from water, you will have to replace the drain as the seals are sold with the drain. Once you have your tools and supplies, you will want to unscrew the P-trap underneath the sink, or the section of pipe that goes from the underneath part of the sink to the P-trap, this can be done by hand, however, if the connections are too tight you may need to carefully use a wrench to loosen it first. Once the P-trap has been removed, you will want to take a flathead screwdriver and place the head of it on one of the tabs that are on the flange that screws down the drain. 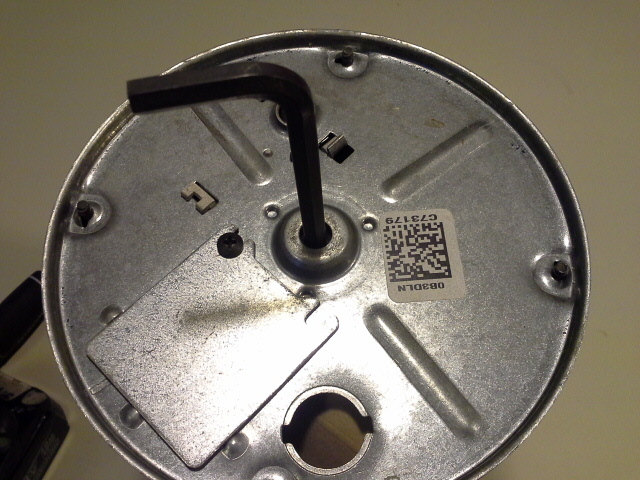 Carefully tap the screwdriver with a hammer pushing the flange in a counterclockwise movement to loosen the flange. 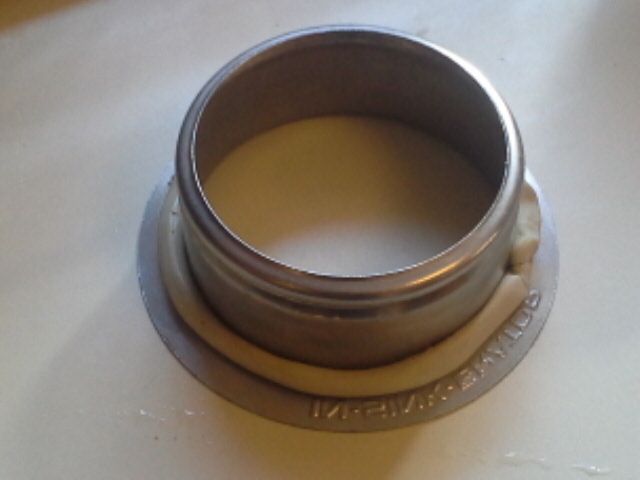 This flange will most likely be on tight, and it will be very difficult if not impossible to remove by hand. Once you have loosened the flange you can unscrew it by hand. With the P-trap removed, and the flange unscrewed, you can now carefully remove the cardboard seal and the rubber seal from the underside of the sink basin. Again, if either of these seals are damaged you will need to purchase a new drain. Remove the drain from the sink basin. Throughly clean the sink from any old plumbers putty. Make sure that both the underside, and the topside of the sink are clean and dry. If your seals are still in good condition you will also need to clean the drain and seals from any old plumbers putty and scum. You can rub a small amount of Vaseline on the rubber seal to help restore the seal. Once the sink (and old drain if you are able to reuse it) is cleaned and dry roll some plumbers putty into a rope and wrap it around the drain where the drain will make contact with the topside of the sink. Next, place the drain into its proper position in the sink. On the underside of the sink, install the rubber seal first, and then install the cardboard seal. 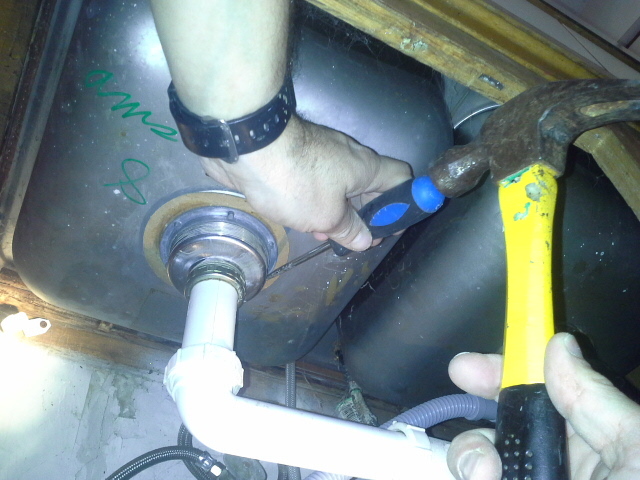 Now screw the flange that holds the drain in place onto the drain and hand tighten it. This flange should now be making contact with cardboardbord seal. To tighten the flange up, place the head of a flathead screwdriver on one of the tabs on the flange and carefully tap the screwdriver with the hammer causing the flange to tighten clockwise. 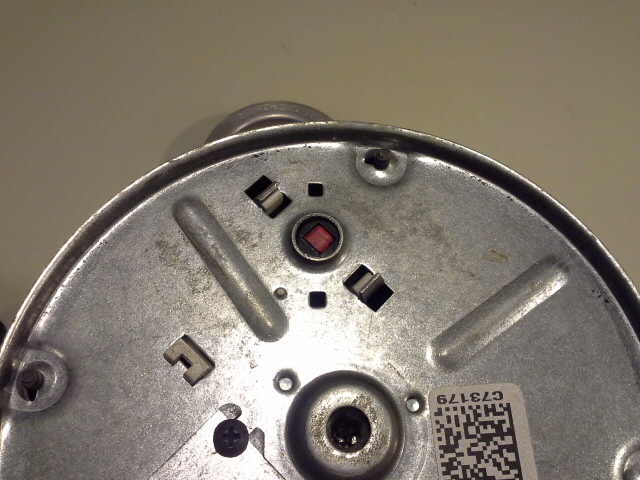 Make sure to get the flange on nice and tight, however, do not over tighten it to where it damages the seals. Once the drain is installed you can reinstall the p-trap, or drain piping. With the drain installed, and the drain pipes reinstalled, you will need to remove any excess plumbers putty that oozed out when tightening it down. 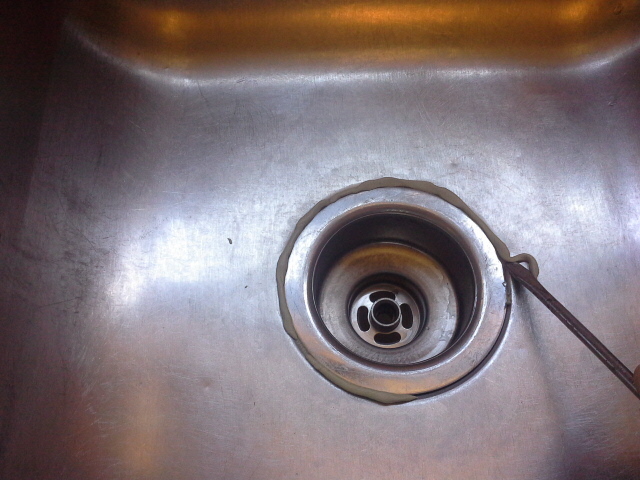 You can do this with your hand, or by scraping around the edge of the drain with a flathead screwdriver. Now that everything is installed, you will want to check your work. Run water down the drain and watch for any leaks on the underside of the sink. Plug the drain and fill the sink with water, see if the seals are working the way they should. Check underneath, if you have see any leaks while the sink is holding water, the drain flange is either not tight enough, or you did a poor job sealing the drain with the plumbers putty and seal installation. If this is the case you will need to redo your work. If you see no leaks, congratulations, you have successfully repaired your sink drain! If you live in the North Houston area or surrounding cities such as The Woodlands Texas, Spring Texas, Humble Texas, Atascocita Texas or Kingwood Texas, give me a call if you need help to install your kitchen sink drain. Simply contact me via the email address below, or at the “contact us” page. Thank you for taking the time to visit this blog, I hope it has been helpful.